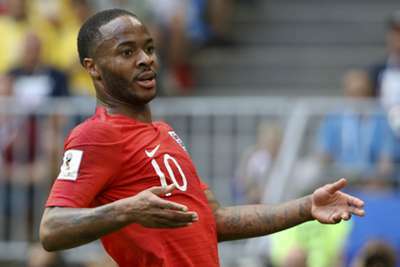 Ian Wright believes there is a racist element to criticism of Manchester City winger Raheem Sterling. Sterling opened the scoring in City's 2-0 Premier League win over Arsenal on Sunday, having scored 23 goals in all competitions as Pep Guardiola's men swept to the top-flight title and the EFL Cup last season. 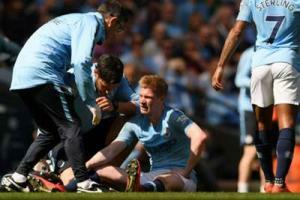 He started six matches for England at the World Cup but failed to find the net and the 23-year-old's performances polarised opinion during the Three Lions' run to the semi-finals. Prior to the tournament, Sterling was subjected to disapproving coverage from The Sun newspaper regarding a tattoo of a gun on his right leg, while various elements of his lifestyle – including buying clothes at budget store Primark, a pasty from bakery chain Greggs and a house for his mother – have seen him targeted by the UK tabloid press. "How many people do you see get the criticism Sterling gets?" ex-England and Arsenal striker Wright said on BBC Radio 5Live. "The football criticism is something every player has to deal with, but what he gets I don't see any other footballer getting. "They don't get that stick because for whatever reason they don't rub up the people in the corridors of power the wrong way. I think there is an agenda against him. "There is an element of people at the high end of the media who want to keep that guy down. Simple. "When you look at the wave of criticism that he takes, there is a certain amount of racism towards it – what else can it be?" Great way to start the season, massive 3 points also really happy to have scored my 50th @premierleague goal today!!!!! In a piece for the Players Tribune published during the World Cup, Sterling stated he no longer worries about certain parts of the media "picking on me". Following his goal against Arsenal at the weekend he cupped his ear while wheeling away in celebration, explaining to Sky Sports afterwards that "there's been a lot of talking so I got a little celebration in there". "They are picking on him because of the background he has come from and they want to keep him down, drag him back down," Wright added. "They don't want him to continue to be a success. "People say 'you are playing the racism card', but you give me a good reason why Raheem Sterling gets the stick he gets for just being a footballer."